The Saygus V2 “superphone” is delayed. You aren’t surprised at that. I’m certainly not. A small company promising the world out of the gate to drum up buzz, who just before their original targeted shipping date arrives goes silent only to chime in at the last minute with news of a delay? Where have we heard that before? Oh, only with every single crowd-funded tech campaign that has launched within the last couple of years. 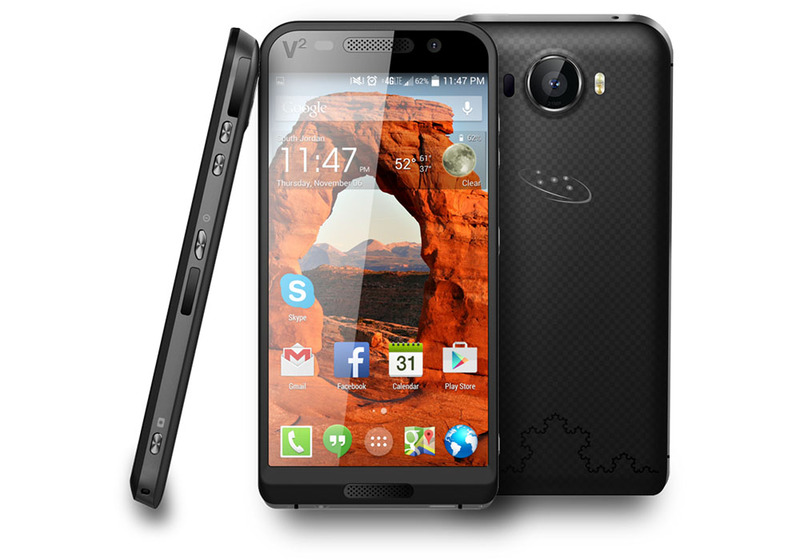 And let’s not deny what the Saygus V2 is – a crowd-funded smartphone. Saygus said that they have had some delays in production “due to imperfect components and an antenna design issue.” They are also seeing delays in the “integration of the industry leading cameras” they are using in the phone. We sincerely thank you for your patience with us as we drive the creation of this world leading V² smartphone and with our delayed communications. We are working to provide more timely updates and plan to reward your great loyalty in supporting us. Saygus has been in the business of developing mobile device technology for more than a decade. Our commitment to the highest quality smartphone is our focus. We are currently working out our final hardware and software integration efforts. This email is to address the shipping plans including the VAT in varied countries for the V². First, we would like to address some of the recent developments that are exciting but that also have caused us to push back the date when we initially expected to begin shipping the V² super smartphone. We have had some delays in production due to imperfect components and an antenna design issue and we refuse to use inferior components in our smartphone. We are working to finalize some key distribution partnerships that may alleviate some of the VAT costs. The integration of the industry leading cameras we have in the phone has taken a little longer than anticipated. We officially announce our shipping date as May 22, 2015. In exchange for your patience, and to say thank you, we will offer all of our current customers an added bonus. Customers will receive a complimentary SqGl (pronounced “Squiggle”) headset—a $229 retail value—as a FREE accessory. Building the V² is like conducing a symphony with all its parts coming together in harmony—we want it to be perfect. As an additional note, the antenna engineering issues have been addressed and we are now preparing to move into mass production soon. We understand that some of you may be concerned about this updated status and want you to know that we will support you in a refund request, if that is your preference. Although, we hope you will stay with us to benefit from the savings and receive our high-end SqGl earbuds. We value your support and continue to appreciate your patience as we approach the shipping date of this remarkable world-leading smartphone!